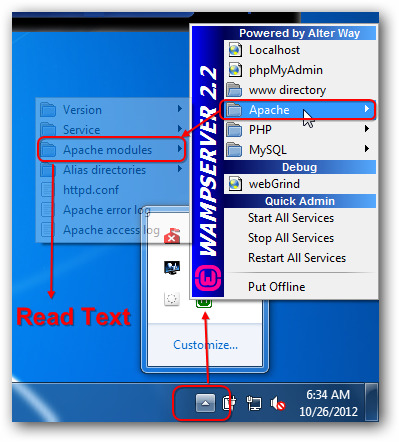 HTTPS in WAMP Server on Windows PC localhost with OpenSSL is quite easy to setup if you follow our step by step guide. You will get self signed certificate. Before setting up HTTPS in WAMP Server, if you have doubt or questions about HTTPS or SSL or OpenSSL, please do a search on the search box in the top of this webpage. &lt;VirtualHost _default_:443&gt; DocumentRoot "c:/wamp/www" ServerName localhost:443 ServerAdmin admin@thecustomizewindows.com ErrorLog "c:/wamp/logs/error.log" TransferLog "c:/wamp/logs/access.log"
SSLCertificateFile "C:/wamp/OpenSSL/certs/webserver.cert" SSLCertificateKeyFile "C:/wamp/OpenSSL/certs/webserver.key" SSLCARevocationPath "C:/wamp/OpenSSL/crl"
These are not located in this way, they are several lines apart. 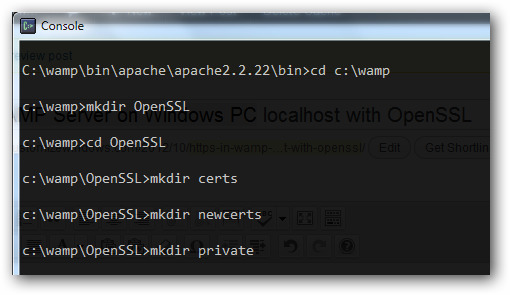 There is no folder named OpenSSL under wamp folder. Still. Still because we will create it. php.ini is usually rightly configured. There is no need check it unless there is error. Open https url of your localhost. You might need to restart wamp, restart Windows to make it working. This Article Has Been Shared 9493 Times! WordPress Compatibility Checking Script for Your Web Server is a simple yet powerful script to test whether your web host to run WordPress smoothly. 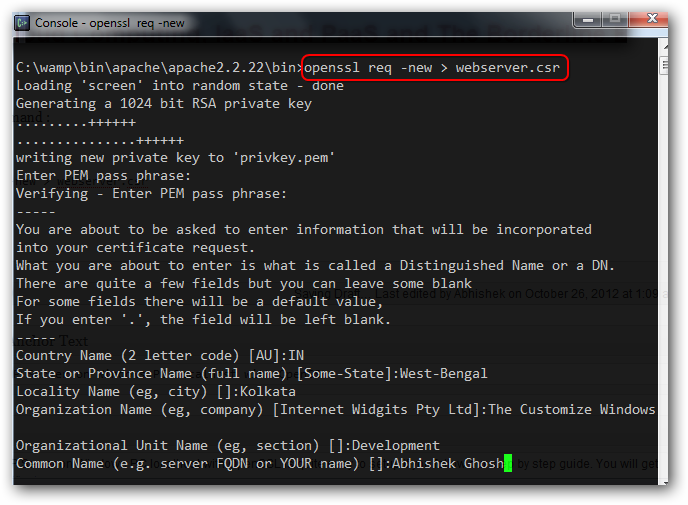 Cite this article as: Abhishek Ghosh, "HTTPS in WAMP Server on Windows PC localhost with OpenSSL," in The Customize Windows, October 26, 2012, April 18, 2019, https://thecustomizewindows.com/2012/10/https-in-wamp-server-on-windows-pc-localhost-with-openssl/.